Born in Dalby, Queensland, in 1966, Andrew was one of ten children, growing up surrounded by the wheat fields of the family farm. Brisbane was his home for the early part of his adult life but for many years since Andrew has lived in suburban Melbourne with his partner, Liesje Grieve. these days, it’s more the daydreaming about possible stories that I enjoy most—and knowing that I have the capability and the opportunity to actually write at least some of them down. Writers and readers will join his publishers in mourning that Andrew’s daydreaming has been cut short and we will no longer have the joy of reading the results of his dreams. 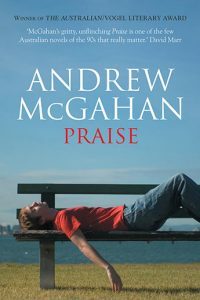 Andrew McGahan burst onto the literary scene in 1991 with the darkly comic, urgently raw Praise, which won the Australian/Vogel’s Literary Award and the regional prize for the best book in the Commonwealth Writers’ Prize. His second novel, 1988, gave readers Gordon Buchanan’s backstory as Praise’s prequel, for which Andrew exploited his own four-month stint as a weather-tracker in Arnhem Land. 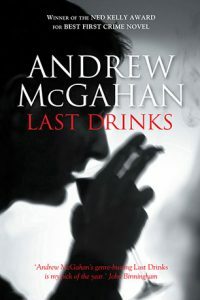 The alcohol-fueled crime novel about Joh Bjelke-Petersen’s Queensland, Last Drinks, was shortlisted for multiple awards, including The Age Book of the Year (Fiction) and the Courier-Mail Book of the Year, and won a Ned Kelly award for best first crime novel. 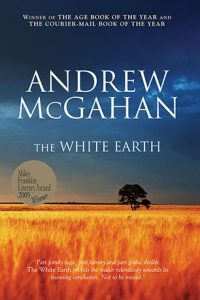 In 2004, the extraordinarily powerful, sweeping Gothic drama set in the Australian wheat fields, The White Earth, was published and won the Miles Franklin Literary Award, the Commonwealth Writers’ Prize for the South East Asia and South Pacific region, The Age Book of the Year (Fiction) and the Courier-Mail Book of the Year. It was also shortlisted for the Queensland Premier’s Literary Awards. 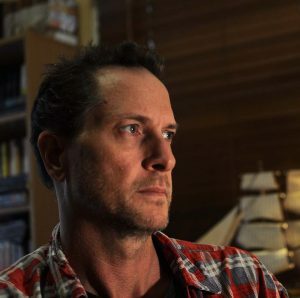 Andrew’s fifth and most openly political novel, Underground, was shortlisted in the Queensland Premier’s Prize for fiction and for the Aurealis Award. Next came the electrifying and tumultuous feat of imagination, Wonders of a Godless World, which was published to acclaim in 2009 and won the Aurealis Award. 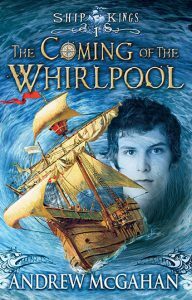 In 2011, The Coming of the Whirlpool, Book 1 in the Ship Kings series, was published and longlisted for a Golden Inky; shortlisted for an Indie Award, an ABIA, an Aurealis Award, and a CBCA award. Book 2, The Voyage of the Unquiet Ice, was Highly Commended in the 2012 Fellowship of Australian Writers National Literary Awards—Christina Stead Award, a 2013 CBCA Notable Book and shortlisted for the Queensland Literary Awards. 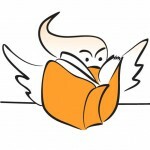 The Ocean of the Dead was the fourth and final book in the series, and a CBCA Notable Book in 2017. 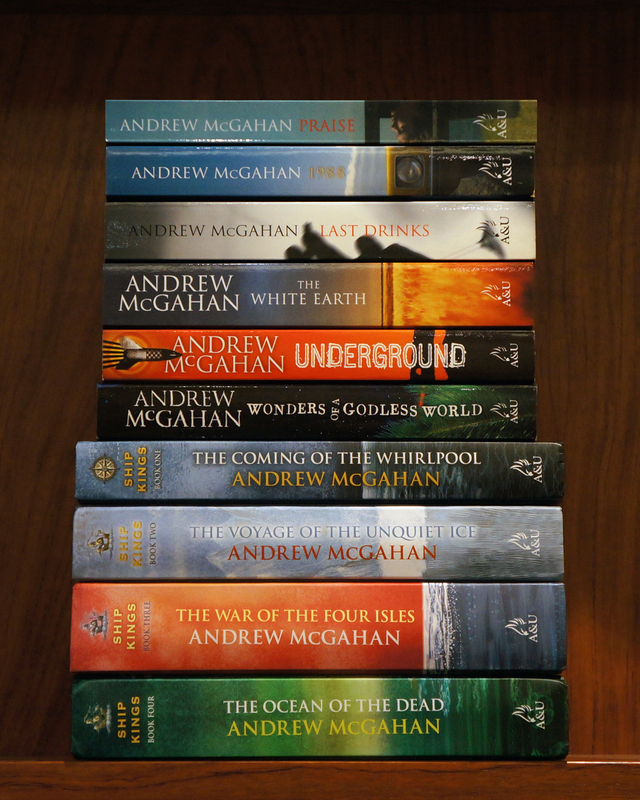 We feel very fortunate to be publishing Andrew’s final adult novel, The Rich Man’s House later this year, and his collection of short stories set in the world of the Ship Kings, The Treasures of the Deep. Andrew successfully turned his talent to both stage and screen. Andrew wrote the play Bait, which was first performed in 1995, winning a Matilda Award that year. Andrew also later co-wrote and co-directed with Shaun Charles a stage version of The White Earth for La Boite Theatre Company in Brisbane. In 1999 he also won an AFI for his screenplay of Praise. In 2009, Andrew was shortlisted for the Manning Clark House National Cultural Awards for his contribution to Australian literature. Famously reluctant to do publicity or make appearances, Andrew was an author who wanted his writing to speak for itself. He was a novelist who, rather than merely pushing the boundaries, recognised no boundaries of imagination. Any subject, any genre, any way of telling his stories was fair game. In a way, they represent the two forces—the nakedly profane and the high romantic—that have battled within my writing ever since. The profane led early on, but as I’m currently in the middle of penning a fantasy adventure series, the romantic is obviously winning of late. In May last year, Andrew sent a draft of his new, brilliant and long-awaited adult novel The Rich Man’s House to us. It was an exciting moment and one that will be shared when it is published in the second half of 2019. Just after receiving this compelling thriller, Andrew sent another message: ‘I have bad news’. Andrew was diagnosed with an aggressive pancreatic cancer and was given only a brief time to live. Characteristically, Andrew has lived every day of that time courageously, privately and fully, encompassed by the love of his partner, family and friends. If there’s an exception to every rule about writing, then the exception might as well be you. 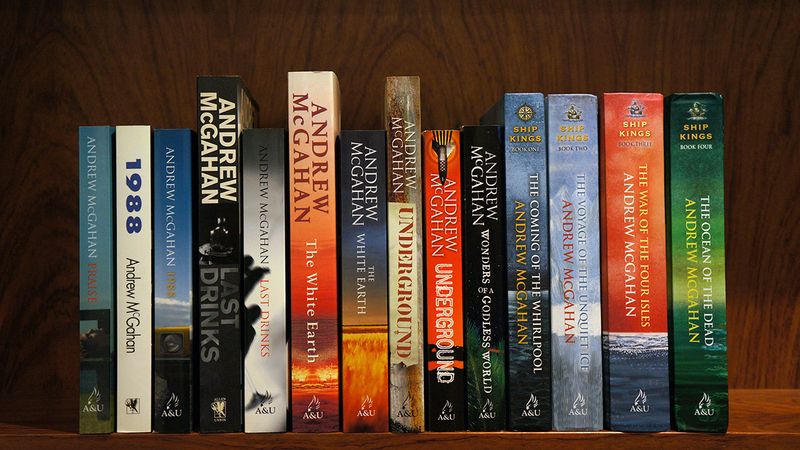 We will remember Andrew for his fierce and intense intelligence, his kindness and generosity to all of us who worked with him, his fascination with the natural world, his bravery in facing his diagnosis and for each of his incredible novels, which will continue to be read and loved. Vale, Andrew, you were truly the best of men.